Mummy cooked for us again last weekend. Her schedule is getting back to norm again so she has more time to cook for us now. Woof woof, we are all so happy! This is another new dish created by mummy... yummy yummy!!! 1. 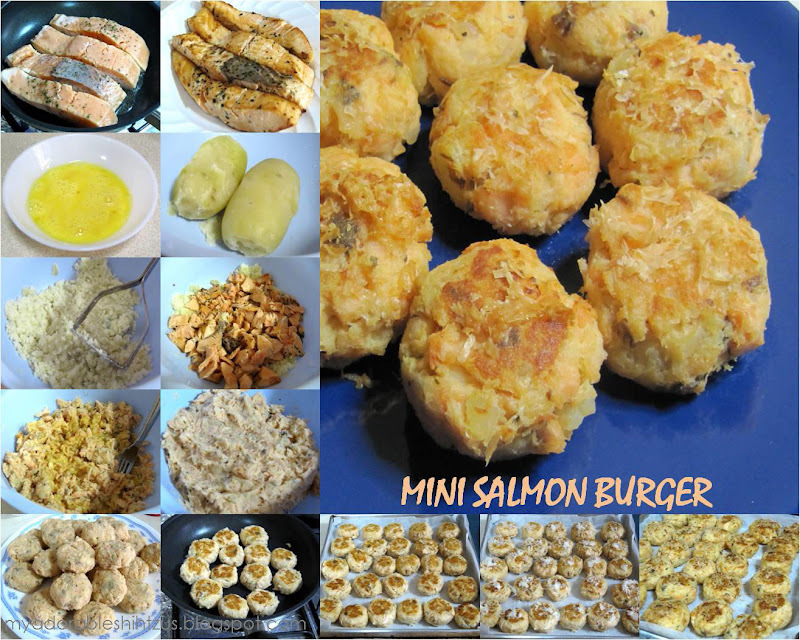 Cooked or pan fried salmon till cooked and made into flakes. 2. Add the salmon flakes into the mashed potatoes. 3. Add in the herbs, flour & eggs, mix well. 4. 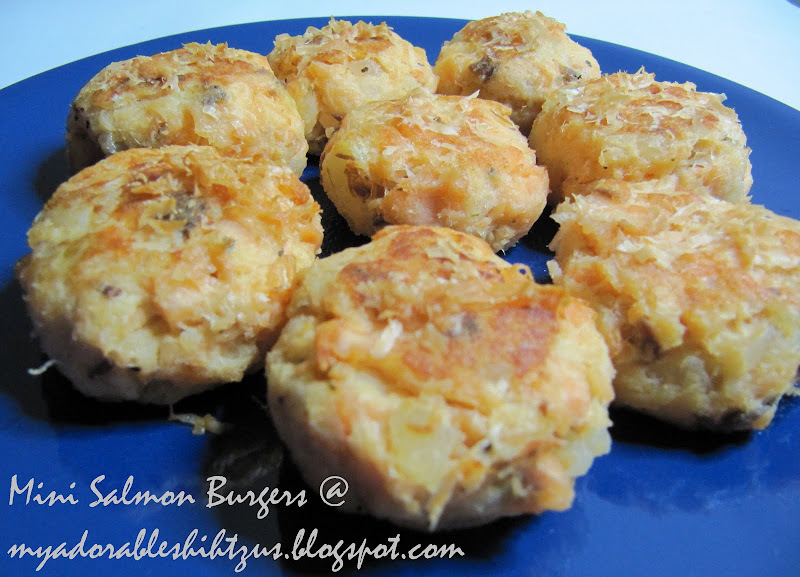 Shape into a mini burger and pan fried till lightly golden. 5. Transfer to a baking sheet and sprinkle some parmesan cheese on top. 6. Bake at 180 deg c till cheese turn golden. Yum.. You guys are so lucky! seems yummylicious! thanks for sharing the recipe! I am going to lemming this for my dogs.